There's good news if you're not feeling well enough to cook: Several studies have found that, when taken for a short period of time, ginger supplements help relieve nausea and vomiting during pregnancy without any adverse effects on you or your baby. A study published in the American Journal of Obstetrics and Gynecology found that women who took a 1-gram ginger supplement daily for four days had significantly less nausea and vomiting compared with women who were given a placebo. 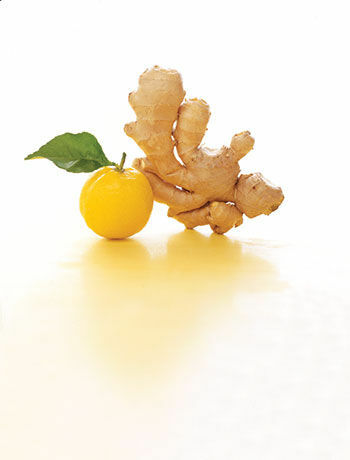 "It's encouraging to see scientific support for ginger as a treatment for nausea during pregnancy," says American Dietetic Association spokeswoman Melinda Johnson, M.S., R.D., who suggests that women who may not feel well enough to cook or who don't like the taste of ginger take the supplements. Her advice is to take 75 milligrams to 2 g daily, in divided doses, for one to five days.